A handmade scarf design exclusive for you. 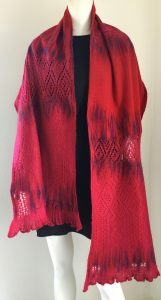 This blog provides the different handmade scarves Halle Design offers to customers worldwide. 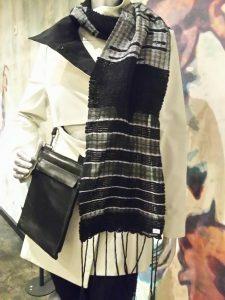 The techniques and textiles used in the design process categorize the different scarves. 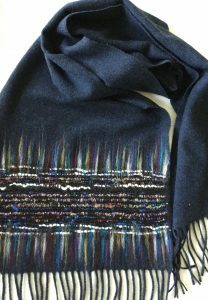 Hala recycles textiles and creates upcycled scarves to complete handmade and new luxury scarves. 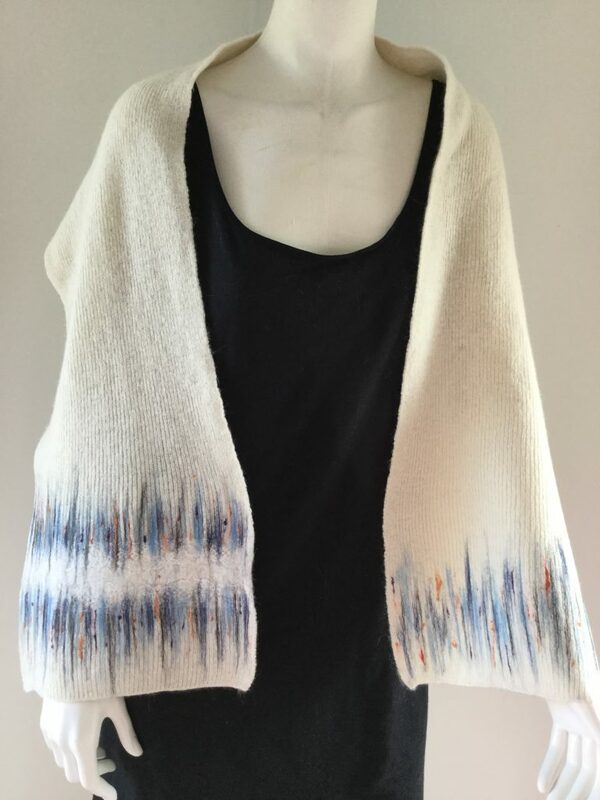 Hala reuses textiles and creates new upcycled designs. She connects e.g. 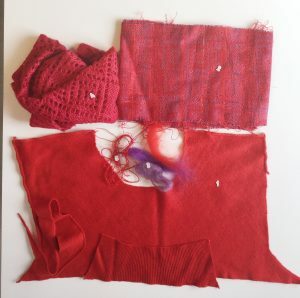 pieces of old shawls, a pullover, haute couture textile left over from Mhalia Kent design house by making use of pieces of wool. The wool has 2 functions. 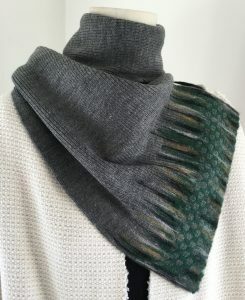 First it connects the old reused textile pieces and second the colour is chosen in such a way that it gives a special look perfectly fitting the colors with the haute couture textile. This results in exclusive upcycled new luxury shawls. Wouldn’t you want such a new creation and contribute to the environment? Maybe you have a piece of fashion you do not wear anymore and don’t want to throw away because you are emotional attached to it. Maybe it is an example of a textile product that you want to upcycle in order to a complete new fashion product. Just drop an e-mail or reply on this blog and Hala is glad to find a creative solution together with you. Next to upcycling textile Hala uses the same connecting technique to recycle textiles. During her internship at Mahlia Kent, the famous design house in Paris she saw that a lot if pieces of textile were wasted. She decided to buy the woven pieces of haute couture textile. 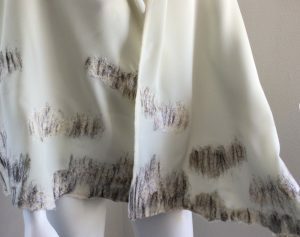 She uses this pieces of textile creating her very own style. And while every shawl she creates is different, you recognize immediately the signature of Hala. 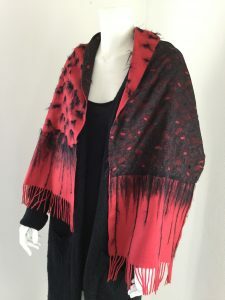 Below you find some examples of scarves, however she also reuses the haute couture textile in other garments, like capes, and also in her home textile such as cushions. Finishing handmade scarves with lace creates an elegant and romantic look. Hala discovered already when upcycling a scarf that she does not always need textile for haute couture. In fact it is just a small step. She started reusing textile from textiles that where left overs from different sources and garments. Below you see some example of reuse of pieces of wasted shawls. 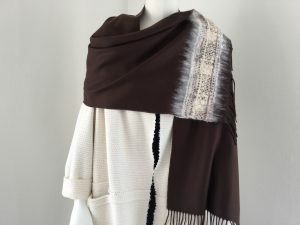 Hala also designs scarves using weaving technique. Also with the weaving technique she showed that textiles and even other materials can be reused. She shares and presents her experiences in the weaving network Nederland . Do you want to learn more of Hala’s work? Watch her movie.